Tasie Lawrence is a British actress, singer and songwriter. She is best known for her role as Mara Jaffray in the 2011 Nickelodeon television series House of Anubis. She played Ren in the American action-adventure drama series Hieroglyph. She was appeared in her co-star Brad Kavanagh’s original song “We Shall Overcome”. 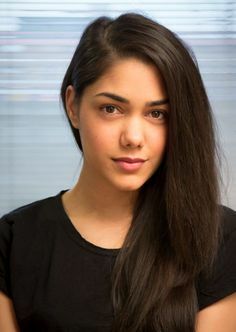 Born Anastasia Katya Breezy Dhanraj on December 22, 1990 in Brighton, East Sussex, England to Derek Dhanraj and Rebecca Sinnatt, she has a younger sister named Tasha and belongs to Indian and English decent. She studied music at the Academy of Contemporary Music in Guilford and went on to be signed by Island Records as a singer/songwriter. She has a BA in music. She made her acting debut in the 2011 TV movie The Tower, and won her first Kids’ Choice Award for Favorite UK TV Show in 2013. *She was born on December 22, 1990 in Brighton, East Sussex, England. *She is the former member of a dark pop rock band, the “WooWoos”. *She is half English and half Guyanese. *She is close friends with Ana Mulvoy Ten and Klariza Clayton.